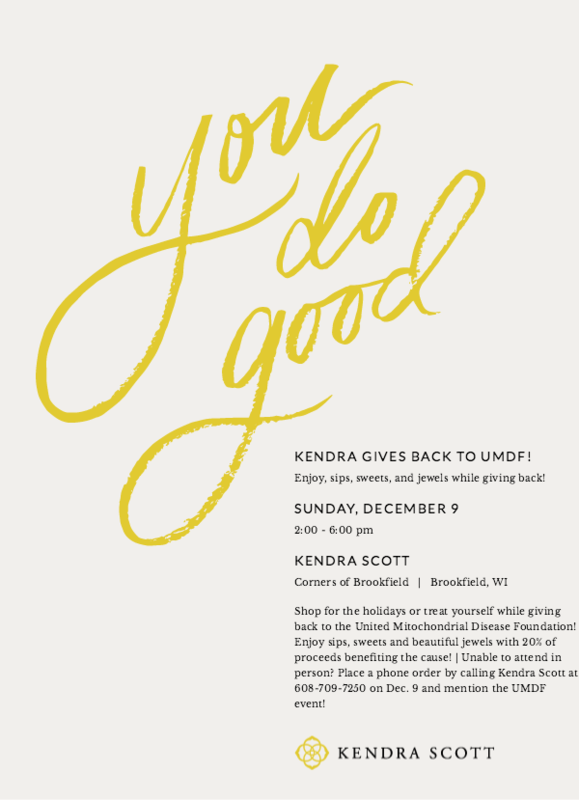 Join us at the NEW Kendra Scott for a Kendra Scott Gives Back Party to benefit the 2018 Southern Wisconsin Energy for Life Walkathon. Join us for sips, sweets & jewels! 20% of proceeds will benefit the UMDF’s Southern Wisconsin EFL Walkathon.